As autumn makes her stealthy approach, the days are cool and becoming colder and yet in the warmest part of the day we were visited by a stunning butterfly I had never seen before. The weather broke; from heat to chill in an instant …warm, rumbling air brought storms that refreshed the grass and had the birds singing again. 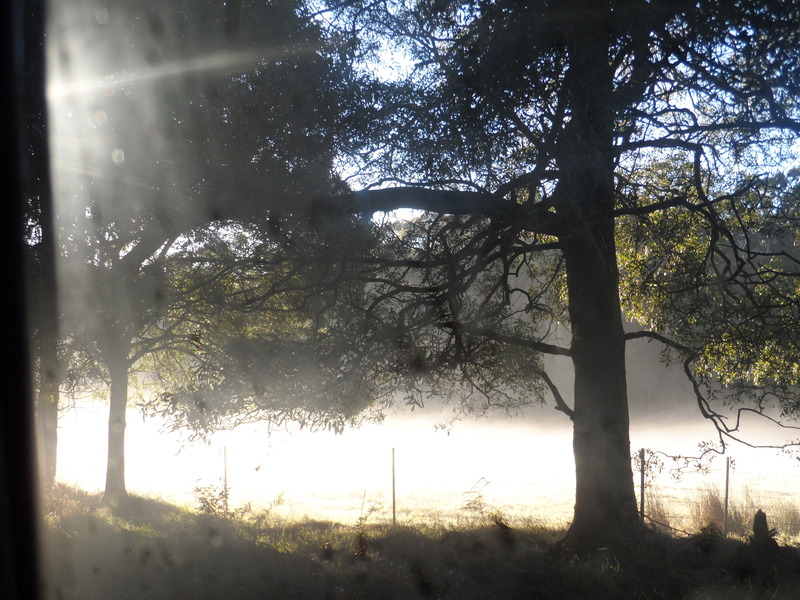 Mists clear mid-morning; the air remains fresh and the sun holds the bite of March, along with the March flies, whose bite can stop you in your tracks …they are ferocious this year. Did no one tell them it’s still February? I can sleep at night; the mists roll back in by sunset. Saturn has been a beacon in the evening sky; so close it’s like a huge candle, flaring unexpectedly from behind the clouds. My favourite time, autumn gives subtle hints of cold to come. Cattle can be heard across the fields as they call to each other; deep, full bellows …young kangaroo bucks make practice runs, ‘play fighting’ for spring. When the call of the mating season comes around again, they gather females to them in small mobs. As the wheel turns on post-Lammas, toward Mabon, Autumn Equinox, I watch, ‘fresh from the pouch’ joeys grow to mini-size; playful children, cuffed by their mother for unruly behavior. Local Kookaburra return every year, this time with three adolescents. They are heavy, but the young silver birches take their weight with ease, bowing down gracefully to the earth …flexible in their strength. A harsh summer, yet still the hedgerows give their harvest to us abundantly. We make sure to leave enough for the birds and animals that share the land… there are few creatures that totally strip a plant and leave nothing for others… only humans. Luscious red orbs and bells are now forming in the greenhouse; tomato and tiny capsicum ripen and trailing vines of pumpkin and cucumber vie for a place on the trellis. Soon these vines will be behung with round, green orbs of succulent fruits. Snow peas send winding green tendrils up between them; their juicy capsules ready to bite into …few make it to the kitchen. This year’s crop of alpine strawberries has been small until now …just a little moisture and they swell with shy pride, hiding beneath their canopy of green. It’s a battle for who gets there first, Pip the Terrier …the Currawong, the Raven or us… they may be tiny, but the burst of flavour on the tongue is like no other. have been put in place; I filled them to bursting with winter vegetables and herbs. They will save my back when weeding (and grazing for goodies too). 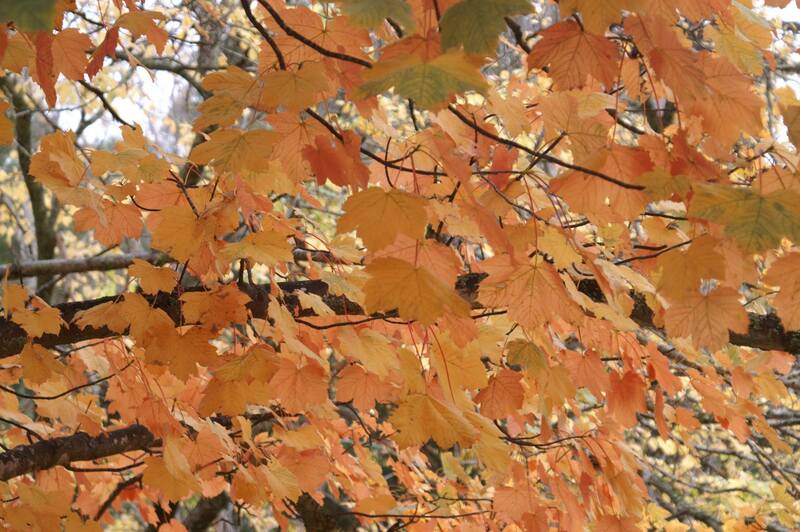 Autumn days, mean everything slows, ripening to gold and red. Morning and evening sun, wear spikes of jewel-like colour the moon holds a red halo tightly wrapped around her, declaring the mist and frost of the night. Harvest is done all but squash, root vegetables, apples and pears; the pantry is stocked. Chestnuts gifted by friends await their transformation into ‘maroni’ or into exotic, nutty-spiced soup with a kick that I’ve yet to try …but soon I think! We have seen the first frost as the nights draw in and we light the fire again. So it’s Equinox; Harvest Blessing time as we reap the rewards of our labour, always giving thanks for what we receive, giving to others what we have in abundance as the year turns again. Then on again to my favourite festival, Samhain, Celtic New year. Pumpkins will be ripe and luscious in the fields. I can feel the earth tremors as the Wild Hunt ride out in my psyche, overflowing into my dreams and then onto the ‘digital pages’ of my new creative offerings. The weekend passed in a blur of activity for everyone. Cal and Morgan found themselves caught up in the excitement of ‘earthly rites,’ as their individual talents unfolded and they found a niche for themselves that went beyond mere coincidence. Both Cal and Max were used to research and so they made themselves useful, finding any indications through myth and history, that made mention of the situation that was unfolding for them all and the connections that had drawn them together. Morgan spent time with Bethan as they practiced music, with Maeve to help her with the mystery of the fractured crystal shard and with Tara as he continued his own lessons in shape shifting. He showed himself to be a great cook and so helped Flora, or whoever else had put their hand up to prepare meals for the group, as they started to bond and spend more and more time together while they planned for the Samhain Rite in just over six weeks’ time. Monday was a day off, so with a skeleton team to run the business and take bookings for the following weekend, they had some free time. Tara put in an appearance in her usual way in a flurry of feathers, black silk and lace, catching up on the events of the previous months. Max was making preparations for the old stables at Bethan’s to be made over and was in the process of moving some of his things into storage in a dry shed at Flora’s. Cal and Morgan had found a house to share rent and so were gathering bits and pieces together to settle for the duration, the blow up mattresses being a somewhat uncomfortable arrangement for two large men. 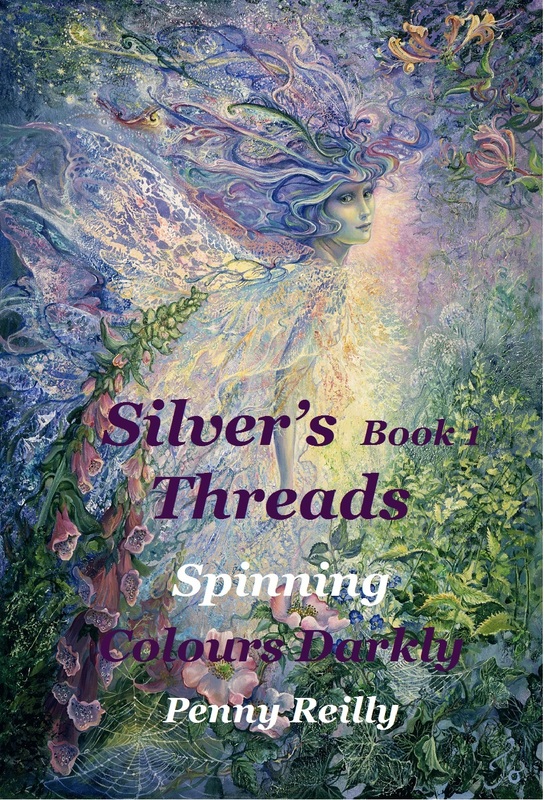 Bethan had been spinning, weaving beautiful wraps, and cloaks, for orders placed as winter approached. Maeve, still having difficulty with the shattered shard, had stopped trying for the moment and all had been still in her water cauldron of late, so instead she was working on a secret gift for Bethan for her coming birthday. Flora continued with the farm and her own work, while Sam disappeared for hours on end whenever she could, to write and draw as the dreams strengthened, and the beautiful etchings on her skin took on deeper colour and more life each day. Only a week had passed since the opening and yet they had become a team. Cal had taken leave from his work at Uni on the pretense of research and Morgan, after speaking with his sister Lily, had arranged she look after Honey as long as possible to which she had been delighted to agree. Ruark however had had other ideas, arriving with Tara the day before and taking up residence at Grove Street, much to Maeve’s surprise. The large Raven had taken a fancy to the mantelpiece in her studio to roost on and refused to budge when Morgan had called her to come home with him. Now they were ready, a picnic and some offerings in baskets, camping chairs and a table all packed in Flora’s big four-wheel drive; they all squeezed in for the drive to the Mount. Mabon, Autumn Equinox, when day and night are of equal length and the harvest of apples, pears and the like, were ready. Tara had said she would meet them there and Claire had said she would try to put in an appearance too. The Mount was abuzz with activity as people found a spot to put up tents if they were staying overnight and the organisers of the public rite were setting up the Altar, cleansing the boundaries of the circle in preparation. Bethan felt edgy and could see the wee folk gathering but along with them was an air of dark. Morgan could feel it too and they exchanged glances…Maeve didn’t know what she was feeling and wandered off for a walk, before the light went …glancing at Morgan as she left, a little sulkily. ‘Why would that bother her Bethan?’ he asked innocently with a little smile. ‘Oh you know as well as I do that the two of you are strongly attracted, even though they do say opposites attract,’ she quipped, ‘There’s too much else unfolding for sexual tension to be an issue,’ she finished. At that, Bethan, her laughter ringing out bright and clear, was unaware of Aerandir and Aelish Sensarrius, standing in the gloom of the cedar grove or that Maeve paused, looking back as she heard Morgan and Bethan laughing together, as if at a private joke. She had never experienced the feeling of jealousy before and it was fueled by the sound of Bethan’s laughter and the rumbling response from Morgan as they set up the chairs and table. Aithlin Farandir also stood observing the preparations, shaking his head at the silliness of humankin…this group so advanced when compared to many on their spiritual path and yet so naive in their day-to-day relationships, he sighed. Just at that moment, a bell sounded calling the first signal for final preparations before the start of the rite. Two Ravens arrived noisily announcing their presence from the branch of an old Redwood. Maeve immediately sprinted back, to be handed a robe to throw on, the others following suit. After a few moments a low pulsing, drumming began and all moved to around the periphery of the circle. Annie and her coven walked, with no little pomp and ceremony, taking up position within the circle of watchers. Many children were present running and enjoying their freedom until, with a scowl, Annie brought them up short, causing them to run back to their parents in a hurry. ‘Charming!’ whispered Maeve, ‘Since when were children not allowed to enjoy the Sabbats?’ she questioned. To her surprise, Morgan simply took her hand and she felt a surge of peaceful energy, radiating from him and relaxed. He kept hold of her hand for a moment longer than was necessary, smiling at her surprise. Annie cast the circle, four of her conveners calling the elemental quarters, before she took centre stage again. A hush fell as the Harvest moon rose gracefully above the trees and a gasp went up as they saw that it was blood red. A shiver went through the crowd and a sigh, as the Dark Fae Aelish stepped from the shelter of the forest, with Aerandir in tow. Max went to move forward but halted at the arrival of Aithlin behind him, whispering a few words in his ear. He stopped and visibly relaxed at Aithlin’s gentle insistence he let things play out, as they must. Annie Savage, positively simpering with pleasure at the attendance of these otherworldly beings, stepped forward and about to open a doorway in the energy of her cast circle, gaped in surprise as they simply stepped through for them, the non-existent barrier. Regaining herself quickly she greeted them formally, thanking them for their attendance. A silence had fallen over the crowd and their eyes glazed over, as the spell was cast, that they not remember what they were witnessing, Flora, Maeve and the others being the exception to this, due to the influence of Aithlin’s quiet presence. Flora glanced across the fire lit clearing and was sure this time that she saw her father standing watching on the other side of the circle. She made to move toward him but again Aithlin stopped anyone from moving. Above him, she noticed in a tree was a white owl, perched looking with fixed focus at the scene. With a wave of his hand, all was silent as he strode across the circle and approached the Dark Fae. ‘The elders are waiting Aerandir Sensarrius, do you dare ignore their summons?’ he said quietly. ‘Come now and your embarrassment will be spared in front of these humankin or I can just as easily remove the spell that hides you from their sight,’ raising his hand again. The glade filled with tall stately silver haired Fae, two taking hold of an arm each, which Aerandir shook off with disdain. ‘And you Arwen Aelish what are you doing here leading this weak one astray?’ indicating Annie. ‘All the more reason for you to have a care then,’ Aithlin replied harshly, ‘Take them away,’ he said, and then to Aelish, ‘Be thankful the Forest Lord is not present here tonight,’ then turning he smiled at Bethan and bowed and with a curt nod to the others, was gone …the sound of music followed him. With the withdrawal of the Fae the stillness was broken, movement returning to the frozen tableau of people as if nothing had happened. The seven watchers released their indrawn breath as one, exchanging perturbed looks at what they’d witnessed. Annie continued the rather pompous and over-done performance as if she were the queen of the Wytches herself; even her tried and true acolytes somewhat skittish at the pageantry she displayed. ‘What have we done employing her,’ snorted Maeve, ‘that wasn’t a Harvest Rite that was pure ‘dress-ups,’ she said with disgust. I know it’s not for us to judge another’s rituals but that was beyond all recognition for Mabon, which I understood was all about balance and equality on all levels,’ she finished, with a scowl. The crowd dispersed slowly to their camp-sites and seats to ready the food for the shared feast. There was no real air of celebration however and the tension was palpable, ‘Something’s not right,’ the majority agreed. ‘Where was the sharing of the festival?’ and ‘what’s got into Annie Savage?’ they wanted to know. The mood lightened as a group of musicians gathered, Bethan and Morgan being the first to approach to say hello, bringing lap harp and lute with them. Music always breaks the tension; this evening was no exception, as the motley crew played jigs and reels with foot stomping enthusiasm and the evening wore on with shared food and mead flowing, while children slept and the music slowed to a gentler tone. Couples danced and groups chatted, catching up on the weeks between the festivals and shared friendships were rekindled. …they will sing you a lullaby …a sweet, haunting tune. …feel Her hand clasping yours like a soft, well-worn glove …feel Her warmth, Her tenderness …feel Her love …feel Her love. The Lady soothed them and the wee folk came to play in their dreaming. Flora drew a circle of protection around the quietening group as they sat together enjoying the harvest moon and the stillness of the night. Bethan took a break from playing, wandering off from the group a little, she sat, watching entranced, as a few Makers appeared through a doorway at the base of an old oak tree. They came to cleanse after the awkwardness of the rite…their humankin not realising that a rite without cohesion left gaps in the area’s energy, inviting all kinds of negativity to the sacredness of the space. Another group appeared accompanied by Silver who looked a little more recovered, the gap in her energy still holding the dark but held in stasis by the healer Makers. Silver drifted over to Bethan to where she sat under the trees. ‘They will simply see you sitting here child enjoying the night, you will be back before they look for you. Now come, take my hand,’ Silver stretched out her hand to Bethan and she took it hesitantly. Max happened to glance over to see Bethan talking to something, someone, he could not see. He moved to go to her but found a hand placed on his shoulder by Morgan, who was looking intently at something beyond Bethan and beyond Max’s sight. ‘It’s okay Max, Bethan’s talking to the most beautiful being; I think it must be Silver from all of the previous descriptions I’ve heard,’ said Morgan. At that Silver looked at them directly, raising a finger to her lips and singing a few notes, she vanished to them, only Bethan could see her. Once more taking Bethan’s hand, she took her into the tree, down deep into its roots, to a chamber full of the aroma of mould and rich, decaying leaves. From the chamber, a rivulet from an underground source flowed, its trickling, watery movement bright yet soothing to eyes, and dabbling hands. Bethan sighed with quiet relief as she relaxed back securely into the root bowl of the ancient tree. ‘Be at ease little one, there is one who would speak with you here,’ and at that Silver bowed and withdrew and Bethan waited curiously for who would come, a secret longing inside that it be Hercurin. Instead, from out of the gloom stepped a being of such intense beauty that Silver paled in comparison …Arianrhod Goddess of the silvery moon-tides, patron of music and the weaving arts and indeed, a weaver of life. Bethan gasped aloud in awe, bowing her head in reverence and respect that the Lady stood before her here. ‘Arianwen Isil’Lindir, listen there is much that you must know and time in human understanding, is short …come,’ reaching out she tapped Bethan sharply on her brow, opening her third eye beyond anything she’d experienced before. She was overwhelmed by the amount of information that was coming at her at once. ‘Be assured Arianwen, We would not give you more than you can handle at a time,’ said Arianrhod, calling on the Makers to assist Bethan to collate all the information into an understandable form; they whispered to her in a chorus, of sweet melodies. ‘We are other aspects of you who have risen above the time-space continuum through completion of tasks set and agreed on in this physical realm. Together we make up all the composite parts of Silver Trueshaper. 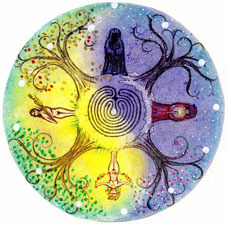 When their tasks are complete all of the Trueshapers combined become avatars, parts of a realised being; as you call them Goddess …in turn, each of them are an aspect of Great Goddess …the ‘All Encompassing One,’’ their song became discordant as they continued, Arianrhod soothing them that they continue. ‘At this time on Her beauteous planet, Her jewel in this universe, there is strife and grief that has caused great damage, not just to Humankin but to other ancient races of being and to some of us the Makers of this realm too. One of us fell and many others are falling, causing a blight that has taken hold of the etheric realms of the Fae altering them and as the veils thin toward Samhain, it will affect your world in turn. The blight came about through one Maker experiencing the pollution and fear of this world, which has in turn altered the flow through Ungwe the Web of Life and therefore the Great Mother, known by many names to your race. We call her Anu, some Danu …Mother of the Tuatha Dé Danann …the children or tribes of Danu, from which you yourself originate through your bloodline. The Littleshape Sybille is lost as you know. Everything possible is in operation to find her and bring her back that she may complete her journey. In so doing she will merge her consciousness with that of her Trueshaper Silver that they may renew finally on the Skeins of Tyme. However, there are now other energies in play that have altered Ungwe that only Great Mother knows the why or how of and this is affecting you directly as your energy is ‘quickened.’ We do not know the reasons for these changes but we are here to assist you in any way that we can. Be at peace Littleshape Bethan for you are in truth becoming more than any dreamed a Halfling could be …walk with the Lady and be blessed …Arianwen Isil’Lindir …Lady Silver Moonsinger, Spellsinger in the making,’ and with that they fell silent and Bethan was given a mere moment to try to understand the truth of their song. ‘We will lend you strength when you falter, words when all words fail, honesty when you would rather be kinder than the truth will be and a love that knows no bounds,’ and turned to leave, with a smile of such beauty, Bethan cried tears of pure joy. ‘This really isn’t something I should interfere with Arianwen but keep your enemies close, they are dangerous in their arrogance,’ and with that was gone; bell-like voices sang her away. Bethan leaned against the roots of the great Tree, the back of her head resting against soft warm-scented mosses and lichen. She could see and sense differently; could hear the waters from the sacred spring being drawn up through the root system and could taste the bonding of water as it merged and became sap in the great energy network within …she became one with the vastness and beauty of Danu’s Birthing Tree. ‘I want to dance now,’ she said, leaping to her feet…to see Tara disappear with a chuckle and Hercurin step from the tree to take her hand in the dance.